Fabric and Stripes - Oak House Design Co. I think it's the blogger right of passage to embrace stripes. I don't know what it is...I cannot resist stripes. I love a good striped shirt, striped walls, ticking stripe, striped napkins, striped straws. Even things that resemble stripes like beadboard, planking, wood floors--you name it. The thing is, they are timeless, and go with just about anything. I think we all love them because you can't go wrong. They are modern, vintage, and classic at the same time. I have been hitting up my local fabric store and finding some amazing fabrics on sale for $3.50/yd! 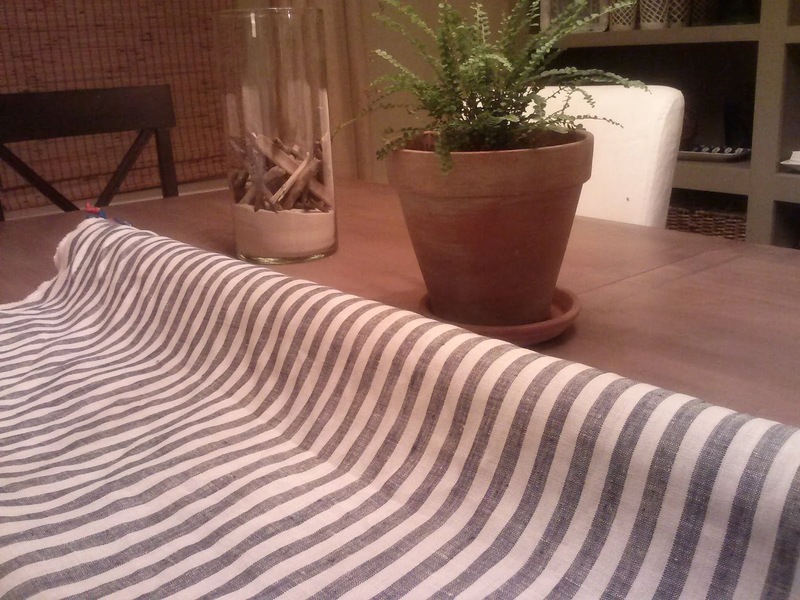 I have gotten several beautiful stripes and have been hunting for a place to use them in my home. What can I say...I have a fabric addiction. In my own defense, I do seem to eventually find a place to use them. In any case, take a peek at the goods! First up, a classic, blue+white stripe. I am thinking of using this one for my dining room draperies. This next one is a smaller blue stripe, but beautiful nonetheless. 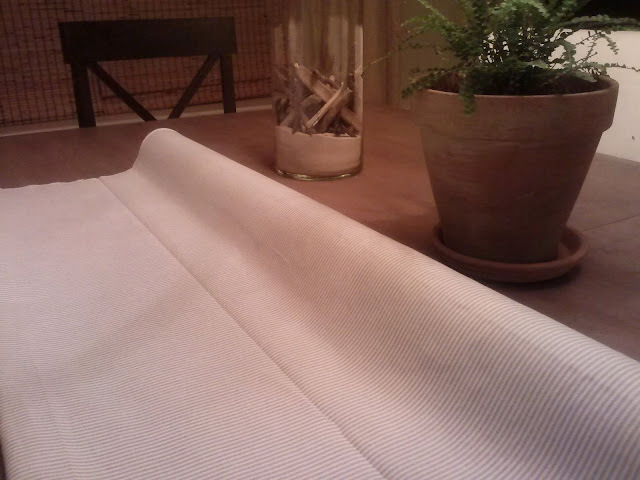 My first thoughts were to use it for a duvet cover or slipcovers because of how delicate the stripes are. They wouldn't be very noticeable on curtains. 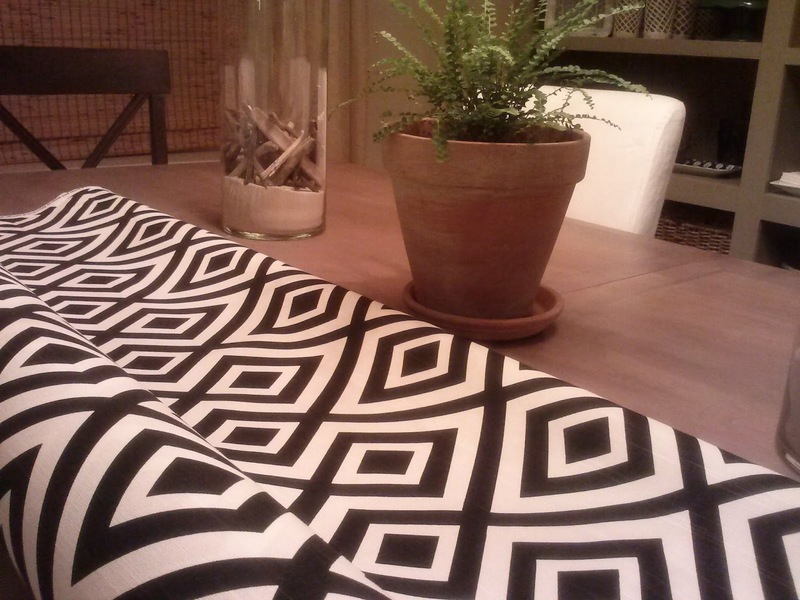 Unfortunately there were only 5 yards left, so not enough for me to slipcover my chairs, but I couldn't pass it up. This one I was also thinking of using for draperies. It is a statement fabric. I could also see it for pillows. Because of how strong the pattern is, I don't think I could tolerate the pattern on a daily basis on an upholstered piece. When I first found it, I thought it was the famed David Hicks "La Fiorentina". I should have known better, but even still the pattern is amazing. I could also definitely see this as draperies with tall ceilings, with a black desk or table, and then a 'jolt' of emerald green. Or with a a deep, gray-green painted piece with brass and mother of pearl accents and accessories... O my goodness yes, please! I scooped up 14 yards of this beauty. 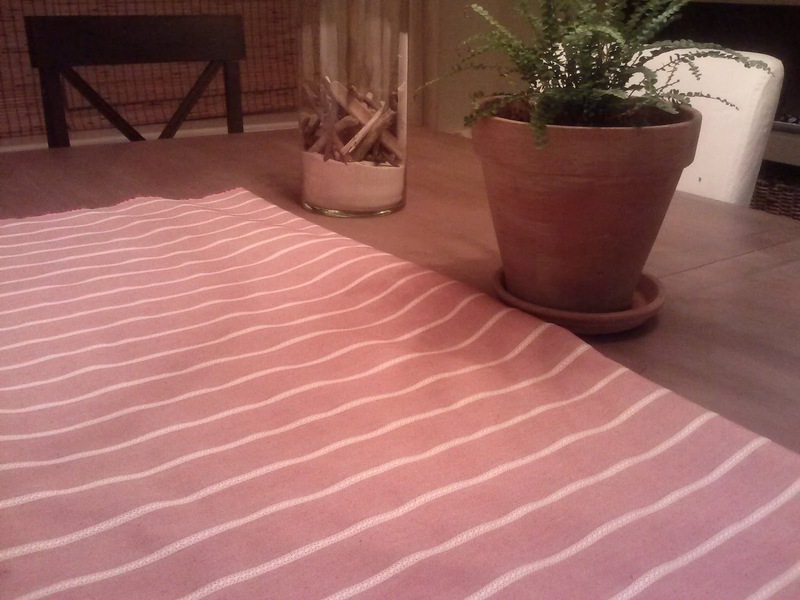 And finally, this dusty rose colored stripe. Well, it was striped, and a neutral red--if you can ever consider red a neutral. I also can't seem to take red for too long. But this was a muted, calm red that seemed to go with everything that I already love. So I felt it could fit into the french cottage palette. I bought 2 yards and, I am planning to at least make a lumbar pillow for my bed out of it. Hmmm, now that I am looking at it again, I want more of it! I'll keep you posted to see where they end up. Me too, and you know where I got these from right! 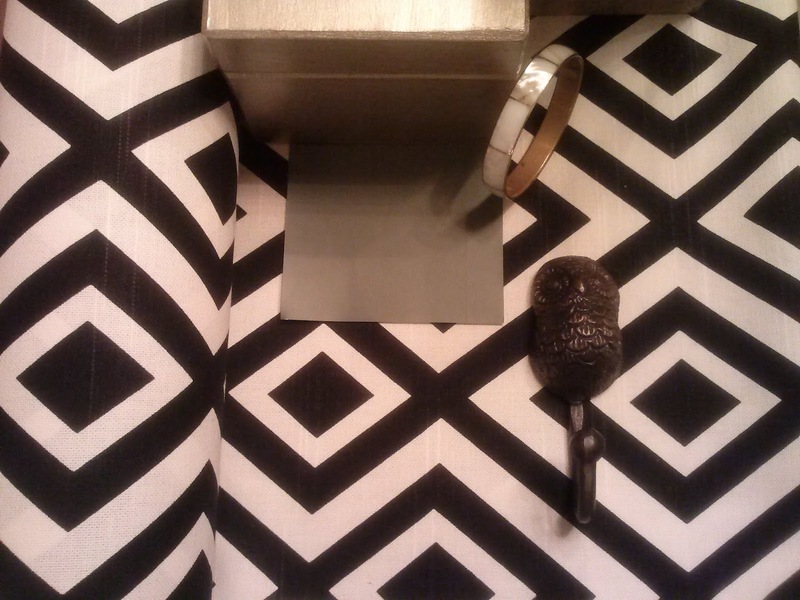 where did you find this fabric? I cannot find it online anywhere!!!! Desperately trying to find 14 yards!!!!! Hey, I found it at a discount fabric store in my area. They usually get just one bolt in, but can sometimes reorder if the order is large enough. If you email me thru my profile page, I can send you their information. Thanks for stopping by! sorry- the richloom dixon pattern in black/white, I cant find it online anywhere.